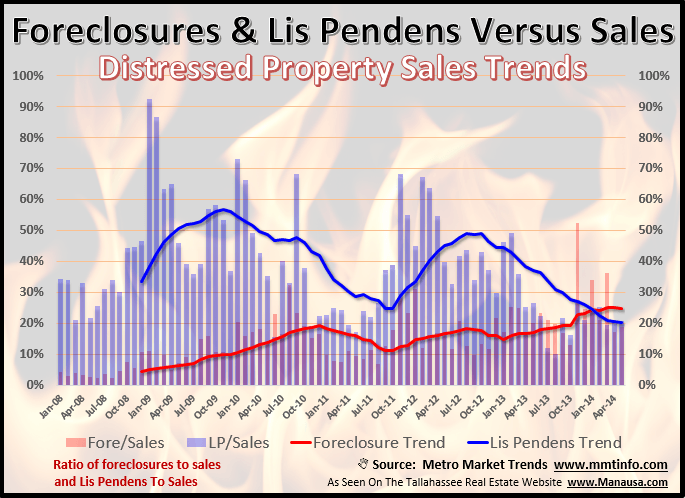 New lis pendens filings in Tallahassee fell 35% in June when compared to June 2013, while foreclosures fell 8%. The continuing decline in new lis pendens filings is wonderful, and the decline in foreclosures is very good news as well. The large amount of lis pendens filed in the past must clear the market now as foreclosures. Lis pendens filings continue to form a new six year low (again).